What We Know About E-cigarettes is clear. Data is easily found. Science is piling up. The Food and Drug Administration released their “Every Try Counts” campaign. I looked for the e-cigarette section on the link provided ~ because I’m a curious soul, and found the section “What We Know About E-Cigarettes”. I’ve completed my meta-analysis and the data shows here that “Every Try Counts” only eludes to every try counting. The propaganda found on the website does not support e-cigarettes as a “try”. In fact, It looks like I may have found the “what we know about e-cigarettes” master draft journalists are using as a coloring contest fill in the blank exercise. By adding sentences, sprinkled opinions, various lies and fodder between the text and adding an ever catchy title with scary words for a click-bait title , ~voila~ they have a full article of “we just don’t know” here. If you are are a journalist. If you are a professional. If you are in any capacity in the medical field, feel free to reference my sentiments on the challenges of e-cigarettes public health experts face daily, here. If you are a person with a prestigious title similar to “politician, front group liaison, expert, media contact”, etc.) and have an uncontrollable urge to look stupid, please, consider not doing that. Science and data show e-cigs are a safer option and cessation rates are high according to available government research. Below are my edits in bold, italics, etc, and with links below each paragraph to data and science. E-cigarettes are officially known as electronic nicotine delivery systems (ENDS). They are more commonly called e-cigarettes, e-cigs, e-hookah, or vapes. You may have seen ads or stories on the internet that say e-cigarettes are a safe safER choice to help smokers quit choose to switch from smoking. There isn’t enough is plenty of scientific evidence to say if this is true or not. Opinion alert: Here’s what doctors and researchers do know right now. Research: Here, here and here. Oh, here, here, here and here. That should get you started. We already know this: E-cigs work by heating a liquid that may or may not has have nicotine and other chemicals in it. Heating the liquid turns it into a vapor. That’s what the user inhales and exhales. Some research shows that this vapor includes chemicals that are known to be less harmful. Scientists are studying the health effects of using e-cigarettes. New information is coming in, but they don’t have the answers yet. but is being all but ignored. There’s Withholding differential risk information. Information is available here, and “Lower Carcinogen Levels” here, scary science here, and “Harm reduction in COPD smokers who switch” here. Although FDA is working to regulateregulating e-cigarettes to restrict, tax and ban these devices,no more innovation can be achieved,currently they are not regulated. That means the makers of e-cigs don’t have to say what is in them. There are ways to know is no way to know exactly what chemicals are in e-cigarettes, it’s called science or how much are in these products. National Tobacco Day is covered here. We do know that some, not all e-cigs contain nicotine. Nicotine is by proof of assertion, what you believe is addictive what makes tobacco addictive. Nicotine can (may, could, might) also affect how the brain develops. Because childhood and teen years are times of important brain development, the nicotine in tobacco and e-cigs is believed to be especially bad for children and teens. 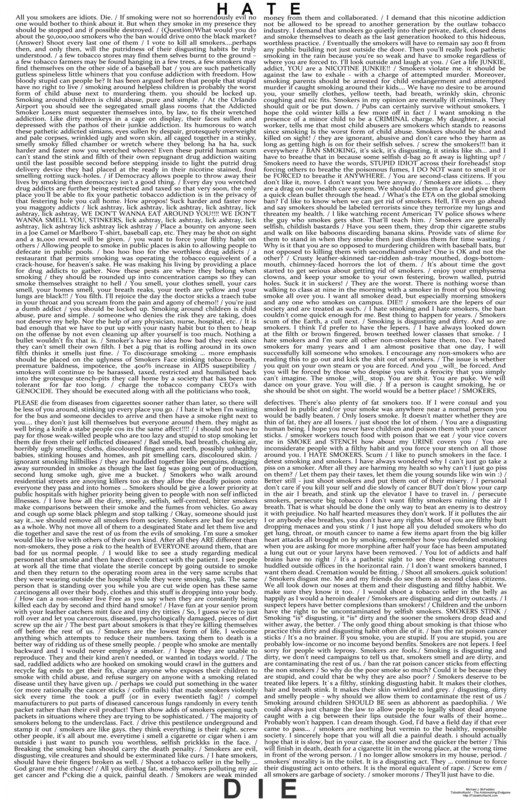 Nicotine is covered here, and here with “approved” methods, proof by assertion (the addiction to saying it is addictive) is covered here, and more nicotine is here, nicotine propaganda is covered in-depth here, and by me here. Think of the children™ is covered in-depth, where there is no such thing as a gateway here, 10 years of smoking rates are plummeting for children here, described as weak here and covered here, and very interesting points of restrictions here… my fingers are tired, but I’ll press on because it’s important. I’ve covered gateways and nicotine addiction, here. It’s also not very clear if e-cigs do help people quit smoking or or if and the government, public health, tobacco control experts purposely get in the way of people quitting. Researchers are working hard to find the answers to these important questions. For now, we do not know if using e-cigs is a safER and helpful way to quit smoking, so using e-cigs is not recommended. There are other proven, safe, and effective methods for quitting smoking. Explore the options to find a quit method that’s right for you. There’s that pesky National Institutes of Health (NIH) and National Institute on Drug Abuse (NIDA) showing 79% success rate here. Clarity on research misconduct happens to be here. I can show you 7,238 answers to helpful here. I typed slow, but you can bookmark this page and refer to it anytime, share it with your professional friends, and while you’re here, may I suggest if you’re writing an article or op-ed on e-cigarettes, try harder for information. Look to the left and right of this blog.